Approximately 900 partners and employees will attend the three-day event at the Renaissance St. Louis Grand Hotel, creating a significant economic impact for one of BKD’s major markets. Conference activities include strategic planning, continuing professional education, networking opportunities, motivational messages from keynote speakers and formal recognition of BKD’s 2015 PRIDE Award winners. Lewis Rice member Michael D. Mulligan will speak on Intentionally Defective Irrevocable Trust Planning (IDIT). 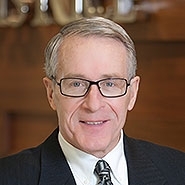 As Co-Chair of the Firm's Estate Planning & Probate Department, Mike is a principal originator of the estate planning strategy of sale to defective trust for an installment note, which is now widely used by estate planners nationally. He is a frequent lecturer on tax and estate planning subjects, and he has spoken at tax institutes and seminars across the country.